Education is known to change lives. 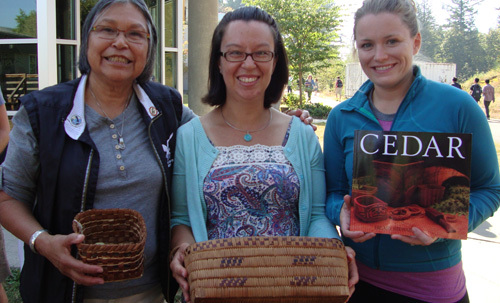 There is a program at UFV, however, that is especially transformative. People enter as students. They emerge as teachers. 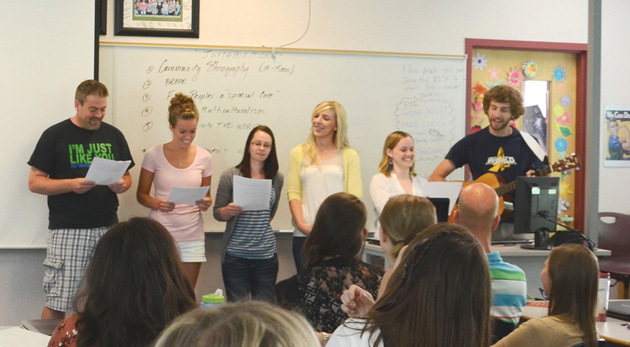 The Teacher Education program, now in its sixth year, recently moved to the Abbotsford campus from Chilliwack. The Teacher Education program (aka TEP) is a one-year post-degree program. Some of the students entering the program are fresh graduates of a four-year bachelor’s degree. Others are undertaking a midlife career change. Local school districts are key partners in the process of preparing tomorrow’s teachers. The student-teachers complete one mostly observational practicum of six weeks’ duration in the fall, and then return to the same classroom for an 11-week intensive hands-on practicum. “We have good partnerships with all of our region’s school districts and are looking forward to making even stronger connections in Abbotsford now that we are based here,” said Salingre. When student teachers successfully complete the program, they are recommended to the British Columbia College of Teachers to receive a BC teaching certificate. The first students graduated from UFV’s TEP program in 2008. Having made strong connections with the local school district, the program had an 87% employment in education rate for 2011 grads. Currently, the focus is on training teachers for the K-7 level, with plans to add a secondary option. The TEP program has five core values: pedagogical sensitivity (a student-centred teaching approach); reflective practice (reflecting in a thoughtful way about their roles as teachers); critical mindedness (understanding the complexity, subtlety, and difficulty of contemporary educational questions and issues); social justice (being open to and respectful of diversity and difference), and integration of knowledge and practice. The distinguishing feature of UFV’s program is the emphasis on social justice, says program head Awneet Sivia. In addition to courses in curriculum design and teaching methods, the students also take courses focusing on special needs, mental health, and aboriginal schooling issues, and courses that require them to be reflective about their experiences in learning to be a teacher. “We weave a thread of social justice and diversity awareness all the way through the program and apply a lens of social justice to everything that the student-teachers observe and learn,” Sivia says. “Right from the beginning we disrupt their assumptions about diversity and engage them in a process of reimagining themselves as a socially just teacher through a series of experiences that help them to look at schools and the education system in new ways. “One of the first tasks they take on is to look critically at the schools they attended in order to understand the impact of community demographics and the experiences that individual students bring to the classroom. They examine their own identity from a cultural, geographical, and life history perspective, and reflect on how those aspects of who they are will be integrated into the teacher they become. You can see some photos of the cohort in action here. For more information about the program, visit their website here or email the department head at Awneet.Sivia@ufv.ca or call 504-7441, local 4700..
Tailgatin’, car-winnin’, b-ballin’ good time to be had Fri, Oct 26.